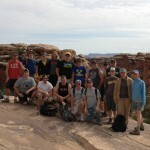 Today, the field trip crew finished in Canyonlands (look at that scenery!) 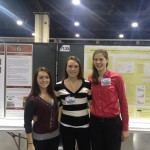 and headed out to New Mexico for the final days of field work. 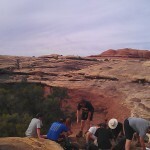 Seventeen students joined Laura Triplett for this year’s Spring Break geology field trip. 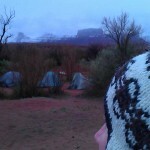 Vans departed Saturday (3/31) and students awoke to snow today (Monday) near Moab (see photo). Reports from the field indicate that morale is high, despite the chilly morning.